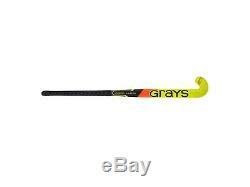 Grays KN11000 Jumbow Field Hockey Stick. Designed primarily for fast-paced 3D styles of play. High power and speed ratings for supreme performance. Geocentric Core Technology with Tri-Tec carbon weave and Graphene reinforcement. The traditional Jumbow blade profile is ideal for drag flicking and 3D skills. Sticks in the KN range feature Kinetic Core Technology at the epicentre of each stick. This technology is designed primarily for progressive and fast-paced 3D styles of play. Tri-Tec weave and Graphene reinforcement ensures there is maximum accuracy when shooting. 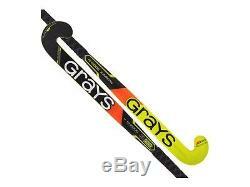 A revolution in stick design - sticks in the KN range offer the maximum combination of balance, feel and power. Sweeping low bow and thicker profile. BELGIUM , UK , PAKISTAN WE CAN POST FORM ANY WHERE. We do not offer return on change of mind. 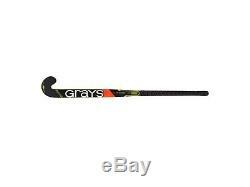 The item "Grays KN11000 Jumbow Composite Field Hockey Stick (2018/19) Size (36.5,37.5)" is in sale since Thursday, January 24, 2019.